I am frightened by the power I feel when I am angry. I know that I have the potential to do tremendous harm – emotionally, spiritually, and physically – if I were to harness the power available to me. For this reason, I have made it a priority to learn how to control my anger. I truly wish to do no harm. 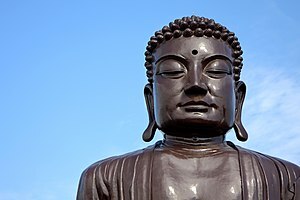 The study of zen practices has helped so much in learning how to control my emotions, and I am currently listening to an audiobook by Deepak Chopra entitled “The Spontaneous Fulfillment of Desire” which has some wonderful exercises for letting go of anger, along with tools to help understand our inherent power in the universe. I am learning how to harness all the power in the universe to focus on love, compassion, and healing. This is my intention. This is what I desire. This is living in love with all things. This is who I will be. I will be the embodiment of love and compassion.